Blockbuster trades and signings have placed some of the NBA’s best in new homes. While it remains to be seen how the players who were a part of the Dwight Howard trade will fair, there is no doubt that Howard himself will vie for a position among the best players in the NBA today. Although the Jeremy Lin saga took center stage in New York last season, Carmelo Anthony still put up over 21 points per game. He is one of the best scorers in the NBA along with the likes of Kobe Bryant, Russell Westbrook, Kevin Durant, and LeBron James—all who accompany him in this top-10 list. The Knicks have not performed well in the postseason over Anthony’s tenure in New York but injuries have not helped. The addition of Jason Kidd should help get the best out of Anthony because unlike Lin, Kidd is more of a pass-first point guard, with a career 9.0 assist per game average. If Anthony can keep himself collected when the Knicks find their rough patches, he may finally play more than just one playoff series in 2013. The Nets move to Brooklyn included the additions and re-signings of big names that included Deron Williams, Brooke Lopez, and Joe Johnson. This group of players and a slight change of scenery from New Jersey to Brooklyn will bring out the best in their star point guard. Williams is an excellent hybrid of a scoring and facilitating point guard and is in the midst of his prime. The lack of depth in Brooklyn will make it difficult for the Nets to succeed in the playoffs, but Williams will continue to show that he is one of the best point guards in the game. Even in the shadows of LeBron James, Dwyane Wade has proven to still be one of the best players in the NBA. Like James, his incredibly well-rounded game has led to both individual and team success. His points per game average has steadily dropped over the past four years—but when you average over 30 points per game, that drop is relative. The 30-year-old Wade still has more than a good amount left in the tank. 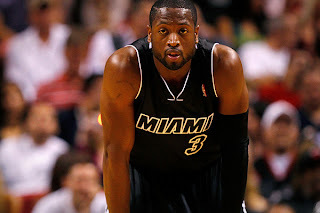 In fact, he is still the second best shooting guard in basketball behind one Kobe Bryant. CP3 has been one of those guys who steadily produces for his team and always seems to know how to best manage the offense. Like Deron Williams, his playmaking ability involves both scoring and facilitating aspects and he is a double-double threat. 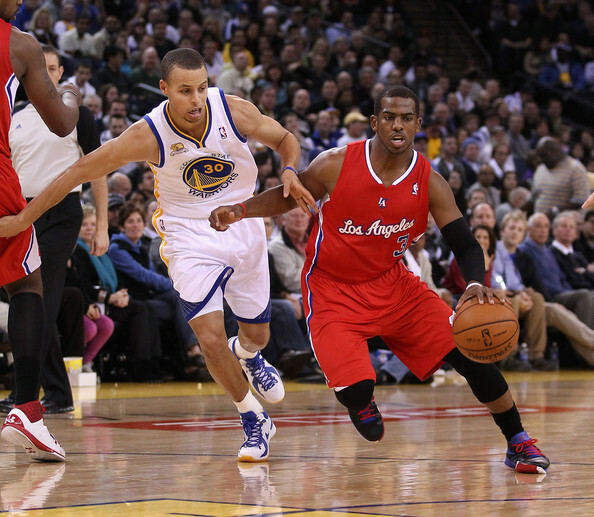 Paul has also established himself as one of the best defensive point guards in the league. A four-time NBA steals champion and two-time All-Defensive first team, he is a leader on both ends of the floor. I have criticized Russell Westbrook’s style of play more than once, but you cannot argue with the results that he and Kevin Durant have had over the past three years. However, I will continue to question his and coach Scott Brooks’ thought process in having Westbrook take more shots in a game than Durant, his teammate who happens to be the best scorer in the game. But it has produced results, with the Thunder steadily progressing in the postseason over the years. Westbrook’s fastbreak pull-up free-throw line jumper has become deadly. With some modification to his gameplay, there is no reason why Westbrook could not make it at least to the list of top-five NBA players. Even a couple years into his 30s, Kobe Bryant is still a top-five player in the NBA. He has proven year in and year out that he does everything to keep his body and his shot in top shape. I have been a critic of Bryant’s style of play in the past and it remains to be seen if he can coexist with Steve Nash and Dwight Howard—both players who will command the ball a lot, something that Kobe will have to get used to. Pau and Andrew Bynum are/were much more passive than D12 and Nash, so even though they are highly capable players, they let Kobe run the show. That will not be the case in 2013. Like Wade, Kobe’s points per game will decrease in 2013. But when you were nearly the scoring champion, a decrease to 25 PPG (which is what I have predicted) is surely nothing tragic. He will be one of the best scorers in the game until he retires but whether or not he can win a sixth championship remains to be seen. The second Los Angeles Laker to hit the top-five best players currently in the NBA, D12 is a monster. His exit from Orlando was anything but pretty, but a change of scenery could be something that truly sets Howard above all other centers in the NBA. He will prove to be one of the best defensive players in 2013 at roughly 14 rebounds and two blocks per game. But again, the dynamics between him, Kobe, and Nash will determine how far the Lakers can go as a team because each star will want his share of the spotlight. The “Big Threes” in Boston and Miami took a couple years to pull it together and if Bryant retires at age 35, that puts a large amount of pressure on Howard and the Lakers to succeed now. Regardless, Howard is the best big man in the league and is ahead of Kobe Bryant mainly because of age. At this point in their respective careers, Howard’s ability to impact the game on offense and defense is greater. Either way, the Lakers should be pleased to have two of the NBA’s best wearing their purple and gold. This may appear to be a controversial pick, but for one Rajon Rondo is the best traditional point guard in the league. Both Chris Paul and Deron Williams are better offensive scorers than Rondo, but the Celtic point guard runs the show like nobody else in the NBA. His ability to get the ball to his perimeter players and post players is uncanny. He carried the Celtics to nearly beating the Miami Heat in the Eastern Conference finals almost singlehandedly. Rondo even went off for 44 points, something that was amazing considering the fact that he is not the greatest scorer. Rajon even proved that he could hit jump shots and the occasional three-pointer. 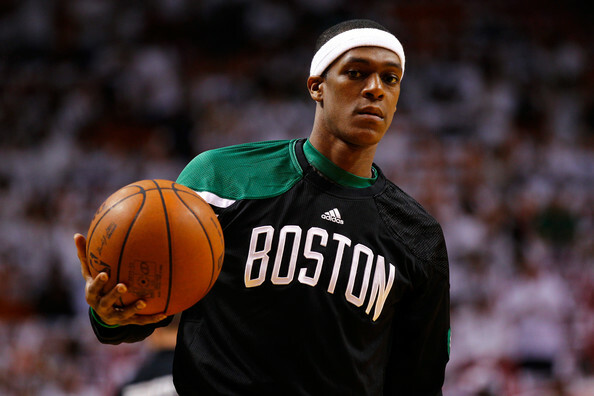 Undoubtedly, that performance was the exception rather than the norm, but Rondo will come into 2013 an improved player. More so than the other seven players behind Rondo on this list, he made his team better than they would have been without him. Garnett, Pierce, and Allen were not young and the up-and-coming Avery Bradley got injured at the most inopportune time. Rondo was a workhorse who almost never rested during the 48-minute game and gave the Celtics a chance to go farther in the playoffs than most people were expecting. He jumped up quite a few spots from where I ranked him for 2011-12, but he earned it. He may have some room to improve his scoring ability, but Rondo is the best overall point guard in the NBA. There is not much to say about Kevin Durant that has not already been said. Will he finally get a ring in 2013? Who knows, but what we do know is that this guy is the best scorer in the NBA from the tip-off to the final buzzer. Put the ball in his hands and something good is bound to happen. 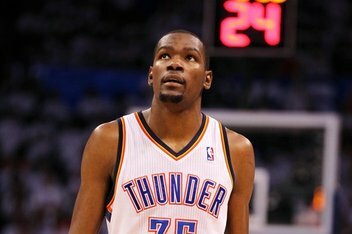 Durant is one of the most likable players and quietly led the Oklahoma City Thunder to the top of the Western Conference (having lost in the NBA Finals in 2012). Look for him to improve on the areas that he was weaker in in 2012 (namely rebounding) and compete for another championship in 2013. The future is bright for this young star. “It’s about damn time.” Those were the first words from LeBron James in a post-game interview after winning the 2012 NBA Finals and finally capturing that elusive first title. Having done that, LeBron has lifted a tremendous weight off of his shoulders, and like I have said before, he will be better than ever in 2013. The inability to decide how exactly to take advantage of opposing defenses has been difficult for LeBron because they are at his mercy. He can do nearly everything you want on offense better than nearly everybody else (save outside shooting). But what he does not as often get credited for is his ability to impact the game on defense. He can do something that nobody else in the NBA can: defend all five positions, point guard through center. Granted he is best at defending opposing small forwards, but LeBron will do whatever he is called upon to do. That is something that helped lead the Heat to the 2012 NBA championship, considering they were weaker on the inside with Chris Bosh as the only natural post defender. Everybody else is looking up at the reigning regular season and NBA Finals MVP. I feel Kevin Durant is a better player all around that LeBron James. Also I think Russel Westbrook is better than Kobe Bryant. Westbrook is more athletic and younger than Kobe. Like Kobe said and I quote "My bones aren't as flexible as they used to be." think you're damn man.....even jordan has'nt prove he's better than lebron james....!! Kevin Durant is probably a better scorer than LeBron but he's definitely not a better all around player. Better rebounder, passer, and defender = LeBron. Durant has certainly improved and he still has room to get better but right now LBJ is better. As for Westbrook...Kobe's still better. At this point in his career, what Kobe is doing is remarkable. There's no denying that Westbrook is more athletic but Kobe means more to the Lakers (and does more for the Lakers) than Westbrook does for the Thunder. ok, lets break this down respectfully cause i don't wanna be rude. kevin durant is a better player on offense than lebron james. right now he's the best offensive player in the world, no doubt. but he is not better overall and here's why. lebron is still a top 3 offensive player, which is still damn good. he's also a top 5 defensive player. kevin durant isn't in the top 50 players defensively. lebron james is the best all around player this league has seen in a decade. and if you're playing in a fantasy league, you want to pick lebron #1 every time. 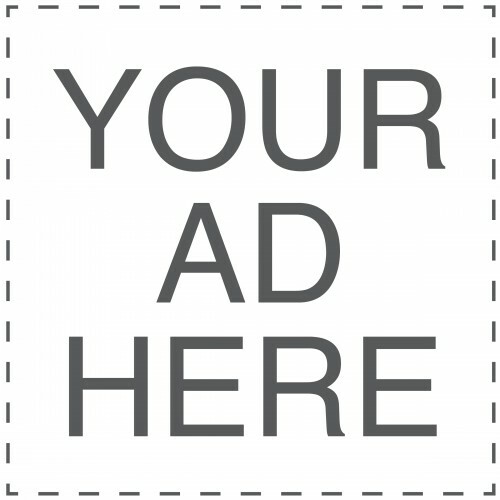 consider that lebron has 30 triple doubles (which is when a player gets double digits in points, rebounds and assists in a single game) while kevin durant has none. secondly, westbrook is not and quite frankly never will be in the same discussion as kobe bryant. kobe may be getting older, but you know what? he has 5 rings. kobe can shake defenders like no one since jordan. he is capable of scoring from anywhere on the court and he has the prettiest shot in the league. a few years back, kobe scored 80 points in a single game. and this year he's been averaging almost 30 points a game (which is about 10 more than westbrook.) westbrook is a point guard who shoots about 40% of the time which is obscene for a point guard. a pg's job is to find the open man and make good choices, not to live in the spotlight. if you want to see what a pg is supposed to be, watch rajon rondo play. all of the athleticism in the world won't carry westbrook from a good player to a great player. for that he needs to mature as a player and learn to fit his role on the team. you can have your opinion, but i've just given you the facts so take a minute to think about it and see if you still feel the same way. In an updated list he would *probably* be on it. Keep in mind this was written before he became a premier scorer. credit loans, it is far better being sure. If you were to update that list Howard is pushed way back if not off the list. Anthony and Howard should flip. Where is D-Rose , 21pts 7.87asst 3.37 reb average per game. This list was made 8 months ago. He wouldn't be nearly as high in an updated list. You're right, D12 would be pushed way back and Melo would be way higher. As for D-Rose, he didn't play a game this year so there's no way that he can realistically be mentioned. Next year we'll see how strong he comes back and then I'll put him on this list based on his performance. Also, I agree - Aerosmith rules.